It’s fair to say that it has been a season of highs and lows for Ross Barkley. Compare the player who took apart Southampton at the beginning of the season to the one hauled off at half-time away at Sunderland. International squad selections generate much debate and Roy Hodgson’s squad for Euro 2016 has been no different. Even now that the squad has been announced, his place in the 23-man squad secured, debates surrounding Barkley’s inclusion continue. 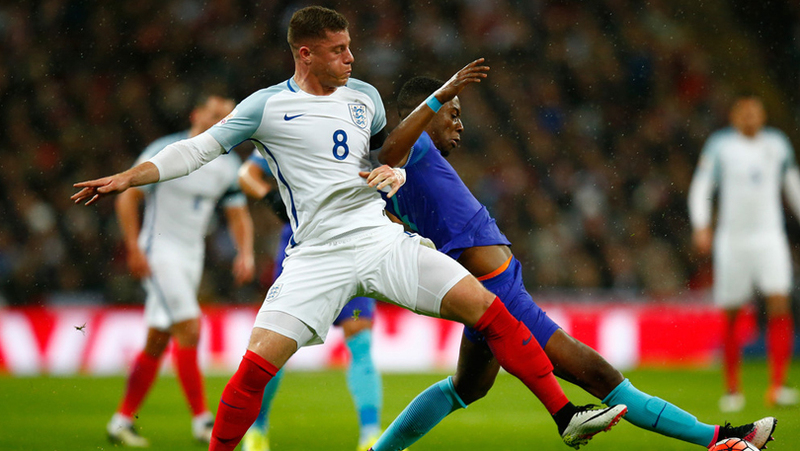 The past season has thrown up many debates over Ross Barkley, his position, his progression and his size. They all help to decide whether he should be going to Euro 2016 or not. A problem for many promising young players is that they have trouble finding their best position. For example, after Tom Davies cameo against Southampton, many were unable to decide whether he was a midfield destroyer or a player that could run the game from the middle of the pitch. Even after his terrific all-round performance against Norwich, people are still undecided. Barkley is the same, although with one startling reality, Tom Davies is 17 and Ross Barkley will be 23 before the end of 2016. We see it all too often in football, unharnessed potential fizzling out into mediocrity. This is one point with which the failings of the management need to be highlighted. It was obvious that Ross’ role within the side still needed refining and as time has passed it has become clear that rather than using a footballing brain, like Dele Alli does, Barkley’s game is much more about sporadic reactions and emotionally driven football. It is that reasoning that makes it clear he will not be a ‘number 10’, this makes it all the more baffling that he was given even less defensive responsibility at a time he should have been nurtured towards more of a box-to-box midfield role. Barkley cannot be blamed for the coaching he has received and can only act as he has been instructed. Even with this coaching, he has managed to record his most personally successful season to date. Then there are the claims about his weight, which seem to have become something of a bandwagon issue. @EvertonMusings, with his love for a good stat, came up with a significant one concerning Ross’ Body Mass Index (for those who never used a WiiFit, it’s the thing that basically puts your weight and height in proportion and gauges if you are at a healthy weight). Barkley’s BMI is 21.2, slap bang in the middle of what is considered a healthy weight (18.5-24.9 is the ideal range for most adults by the way). More significantly, his BMI is considerably lower than players such as Payet (25.1), Shaqiri (25.2) and Romelu Lukaku (26.0). Yes his increase in muscle mass may be hindering his playing-style to a degree, but he is by no means overweight. If he is to become a box-to-box midfielder, akin to Yaya Toure in his prime, then some added muscle may aid that. However, before such a fitness plan had been drawn up, surely it would make more sense to introduce him to the role tactically? Barkley is obviously a confidence player and his emotional ties to Everton, though they may benefit him at times, have proven to be an almighty crutch in recent months. From a personal point of view, it’s pretty easy to see just how much this could affect the Wavertree-born Evertonian. Watching Everton lose isn’t fun and it has ruined many a weekend, taking part in those losses and sharing a proportion of the blame for the failings of the club you’ve supported would be demoralising for anyone. Some may argue against that with the notion that Barkley isn’t a child anymore, he’s a 22 year old man with 140 appearances for Everton and 22 international caps. Should he really need to be told by his captain during a semi-final that the fans aren’t booing him? While he may not be about to pick up his PhD in rocket science, he is by no means stupid. After the defeat of Bournemouth in this year’s FA Cup, Barkley’s post-match interview showed evidence of a player progressing intellectually as well as physically. His articulate answers were a stark difference from the interviews he had given the year before. Even David Moyes, sat in the BBC studio, highlighted how much Barkley had improved verbally. Although, if Kevin Sheedy is to be believed, that may be due to the fact that Moyes spoke to him very rarely. Anyway, since that Bournemouth game, Barkley’s form has tailed off, let be honest though, the same can be said of the entire squad. There has been a tendency to protect Barkley from this overall criticism, but if Barkley is to show his credentials as a future Everton captain, maybe it is time to stop shielding him from responsibility. Then there are the stats. This was Barkley’s best season in an Everton shirt and by quite some way, with 8 goals and 8 assists. Purely on stats he is a must for the squad. One stat that has been overlooked somewhat can be found when examining the English midfielders with the highest totals of goals and assists, his total of 16 was only beaten by Deli Alli, who ended the season on 19. Speaking of Dele Alli, his emergence has definitely not helped Ross. 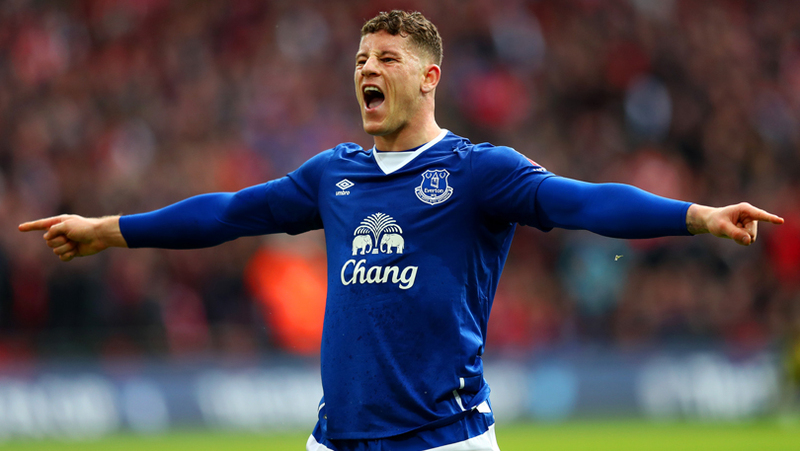 A younger attacking midfielder who has hit the ground running, even helping to instigate Spurs’ title challenge, was always going to impact negatively on Ross Barkley. Comparisons in football are unavoidable and this is one that takes almost no effort to put together. However the comparison does seem flawed, Barkley and Alli are evidently very different players. Alli is definitely a ‘number 10’ whereas Ross is as his best when he is driving forward from the centre of midfield, so a comparison between the two seems rather moot. They’re both players with potential, just very different potential. Which way he goes remains to be seem, but if he would have been left behind it would have been exactly the same story. It may have proved the kick up the arse that Barkley needed, or it could have killed off his confidence irreparably. This experience of scrutiny will be one that has chastened Barkley, hopefully he comes out the other side a better player for it.